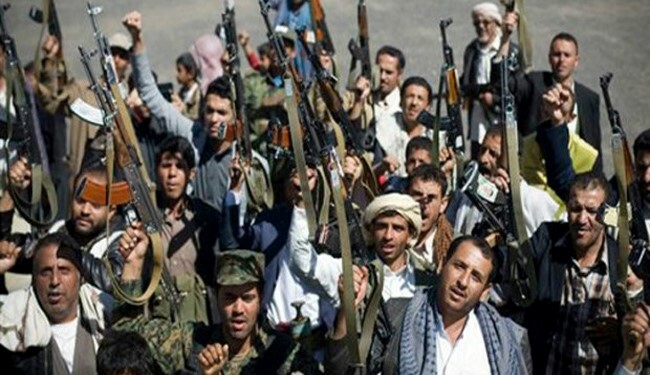 JNN 04 July 2015 Sanaa : The Yemeni army and popular forces seized a strategic military base in Jizan province on Sunday. The army and Ansarullah fighters staged an intense missile and artillery attack on at Al-Jalah military base in Jizan province and captured it in a raid, Yemeni military sources said today. The Yemeni forces also took control of the hilltops surrounding the Al-Jalah military base. Al-Jalah military base has been under missile and artillery attacks of the Yemeni army and popular forces for over last two days. The Yemeni troops have also been targeting several other Saudi military bases in different parts of Jizan today. Reports said the Yemeni army and the popular forces fired 50 missiles at Saudi military centers in al-Ma’atan, al-Madba, Qoraf al-Sheikh and al-Radif regions. Several Saudi military personnel were killed in the missile attacks on al-Radif region. Meantime, the Yemeni forces destroyed three Bradley tanks in their missile attacks on another region in Southern Saudi Arabia. The Yemeni forces’ retaliatory attacks on Saudi positions have intensified since last week after 100 Yemeni civilians, mostly women and children, were killed in Riyadh’s airstrikes on residential areas in Taiz province. On Saturday, the Yemeni army and popular forces destroyed two strategic military bases of Southern Saudi Arabia. The Yemeni forces targeted and destroyed Alib military base in Saudi Arabia’s Asir province with 20 missiles. The Yemeni popular forces also destroyed Tawila military base in Dhahran region with two Grad missiles. Also yesterday, the Yemeni army and popular forces targeted Saudi Arabia’s border regions, including al-Khoba, with missiles and artillery shells and took control of a strategic military base. “The Yemeni forces captured Saudi Arabia’s Wadi al-Jarah military base in Al-Khobe of Jizan province,” a Yemeni military source said. Saudi Arabia has been striking Yemen for 130 days now to restore power to fugitive president Mansour Hadi, a close ally of Riyadh. The Saudi-led aggression has so far killed at least 5,329 Yemenis, including hundreds of women and children. This entry was posted in Middle East and tagged Ansarullah, Saudi Arabia, Yemen, Yemeni Forces. Bookmark the permalink.